Do you offer your employees a retirement plan? If not, now is the time to consider it. A major Gallup poll shows that retirement saving is Americans’ top financial concern. Yet almost half of American workers don’t have access to a retirement plan at work. The numbers are worse for employees of small businesses. Most employers cite cost to sponsor a plan and time required to administer a retirement plan as their primary reasons for not offering one. It is a misconception that retirement plans have to cost a lot of money or time. Many small employer plans pass the 401(k) administrative costs on to their plan participants. So there is no out-of-pocket expense for the employer. As for time required to administer and oversee a 401(k) plan, these can be valid concerns but there are providers and companies that take the burden of retirement benefits plan administration off the employer. The concern about saving for retirement is no longer shared by just employees and employers. Federal and state governments have begun to take an active role in what they’re deeming a retirement crisis. More than half of the states have approved or pending legislation to roll out mandatory state-run retirement savings vehicles for private sector employers who currently do not sponsor a plan. California and Illinois are the two states that are furthest along in this endeavor. California Secure Choice is a retirement plan that would mandate employers with five or more employees who do not already offer their employees a plan to automatically enroll their employees into the state-run plan. This mandatory plan would offer employees a 5 percent Roth IRA contribution. These plans are expected to take effect in 2017. While many small employers may not have the option of whether or not to offer a retirement plan for very long, you still have an option on what type of plan you want to offer. There are several retirement plan options available. Here are the major pros and cons of some of the more popular options so you can start to determine which plan is best for you and your employees. Easy to set-up and administer (no non-discrimination testing or Form 5500 filing). High contribution limits (up to 25 percent of employee’s compensation or $53,000 for 2016). Flexible employer contribution (no fixed formula). Allows employer contributions only; employee contributions are not permitted. Easy to set-up and administer (no nondiscrimination testing or form 5500 filing). Allows for both employer and employee contributions. Required employer contribution of a minimum 3 percent match or 2 percent non-elective contribution. Lower employee contribution limits of $12,500 and a $3,000 catch-up for 2016. Employer contributions must be 100 percent immediately vested. 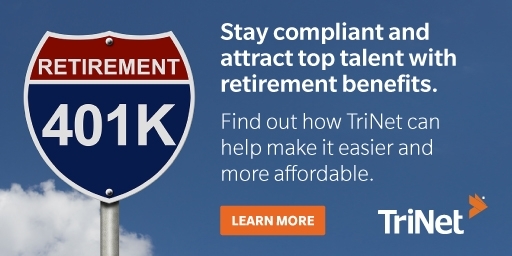 High maximum employee contribution limit of $18,000 and up to $6,000 catch-up for 2016. Employees can contribute as pre-tax, Roth or a combination of both. More plan design flexibility around eligibility, employer contributions and vesting. Ability for employees to take loans and hardship withdrawals against their savings. More complex to administer (nondiscrimination testing and Form 5500 filing required).